A top secret experimental military facility has a primary power failure. Marina, a plucky young soldier, wakes up in the middle of the crisis, injured and disoriented by the absolute darkness. Recalling her training, she must make it to the Shelter before her commanders invoke protocol 13. Along her way she uncovers clues about the fate of the facility as she grapples with her own evanescing sense of self. This short game is the winner of the April 2012 MAGS competition. The theme of that competition was "distorted senses". Sawn 1: Pain is just the start! The Shadow Avenger: It's personal! Voice of Melindra and Hag Ghost. Alien Cow Rampage: Orion Needs Your Milk! Thank you for reporting some bugs. "While the game essentially has you solving puzzles in complete darkness, the setting and developments make the effort worthwhile." Very short game with interesting concept and good atmosphere. Very nice short game. Everything in this game is exactly as it should be. Definitely worth playing! A quick experience that is definitely worth playing. 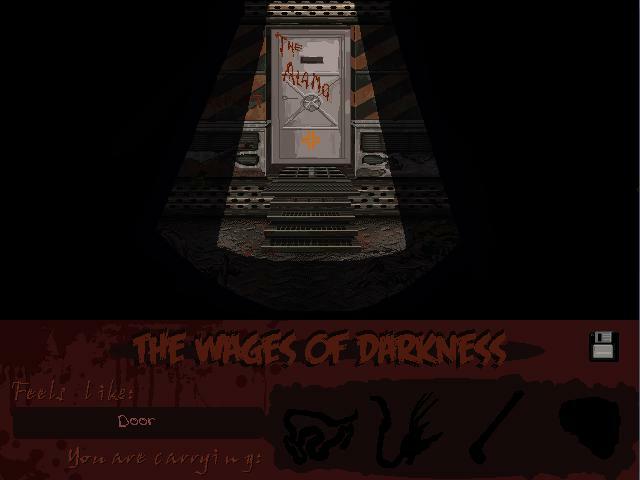 The game has you in complete darkness for the majority of it, but that is what makes it so gripping; its as though you yourself are trying to feel for a way out in complete darkness. It actually scared me, so I had to play on easy and in a window, and to me, this means its good. Very short. Easy. But I enjoyed playing it! Good story, and the music cues works fine. Would recommend everyone to try it on Hard Mode the first time they play it. Short and simple, but a great concept that works perfectly with the tense horror atmosphere. Definitely worth a play. Excellent work. Highly atmospheric. The darkness premise could have been frustrating but works to heighten the tension in a game of this length.